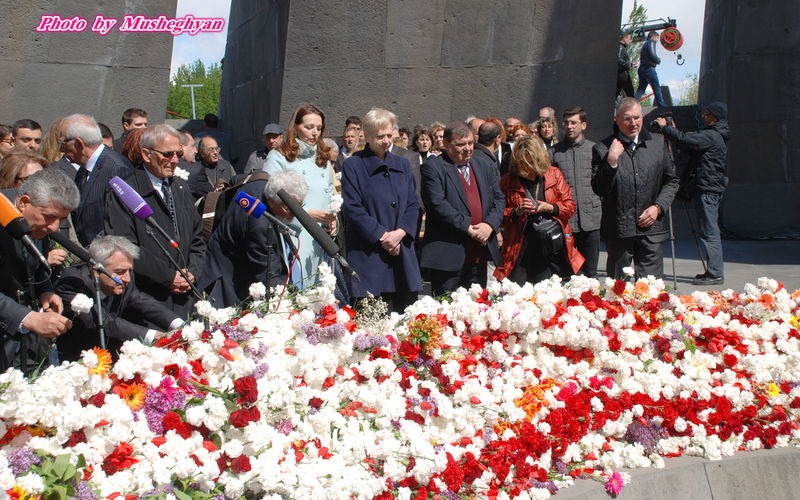 On the occasion of its first official visit to Armenia, members and participants of the newly created EU-Armenia Friendship Group in the European Parliament attended and payed respects at the memorial ceremony of the Armenian Genocide held at the Tsiternakapert Genocide memorial monument in Yerevan. The Armenian Genocide, also known as the Armenian Holocaust refers to the mass relocation and extermination of Armenians during the Young Turks government of the Ottoman Empire from 1915 to 1917. Still to this day this tragic historical event does not have international recognition, but is commemorated annually around the world on April the 24th. Members of the delegation took part in the laying of the wreath ceremony and also visited the Genocide memorial museum afterwards.